Cloud is expanding everywhere. It makes sometimes very hard to understand the difference of a specific cloud technologies or trajectory of traditional desktop and cloud tools. CAD is a good example. Cloud brings lot of confusion to engineers using CAD systems. What is cloud CAD? How is it different from a traditional CAD? I covered this topic earlier in my articles – Cloud, CAD, Browser… let’s sort it out and Cloud CAD: Apples to Apples. Cloud-enabled CAD is a topic that came across as part of a comparison between different flavors of cloud CAD systems. In a nutshell, cloud-enabled CAD is a CAD system which is installed on your desktop computer and uses cloud-based services for variety of reasons such as license access, configuration, data management and data (files) sharing. CAD marketing is sometimes very confusing. However, one of the companies that came very vocal about cloud-enabled CAD is Siemens PLM. 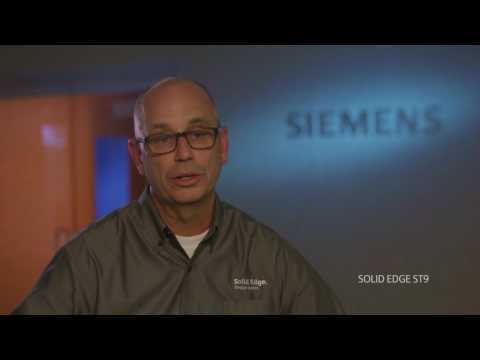 You might remember my article – Solid Edge ST9 and cloud-enabled design. Solid Edge ST9 was released few months ago and I decided to take another look at what it delivers. I found few major elements of ST9 improvement – embedded data management, cloud-based configuration and cloud-enabled file sharing. You can navigate to Solid Edge website to get more information. The following video gives you brief description of ST9 cloud-based improvement. Data management is one of the biggest pains of existing desktop CAD systems. It looks like Solid Edge took another round of data management improvements by bringing it fully embedded into Solid Edge. From videos I watched it is hard to say how seamless cloud features and, especially, Dropbox integration. I wonder how different will be cloud-enabled Solid Edge ST9 and Autodesk Fusion360 using proprietary cloud platform Fusion Team (formerly known as Autodesk A360). It is interesting that Autodesk Fusion Cloud PDM, which was finally announced earlier this month, is coming to provide very similar set of cloud-enabled functionality to desktop CAD users.